It has been 18 months since Apple approved LockScreenIt® for the App Store. From that point, we have been focused on adding functionality that has come as a result of user feedback, our own use of the app, and some random ideas that have come to life on the whiteboard. Creating LockScreenIt has been nothing but awesome. After 13 releases with a growing user base, we are excited to share that we have started on the development of version 2.5 this week! LockScreenIt wins Gold Award in the "Best New Mobile App" - January 2018 Best Mobile App Awards Contest. LockScreenIt® is honored to have won the Gold Award in the Best Mobile App Awards January 2018 "Best New Mobile App" contest, and announces the availability of version 2.4 in the Apple App Store! Shared Reminders with Notifications and Messaging. iOS notifications are a big part of shared reminders. 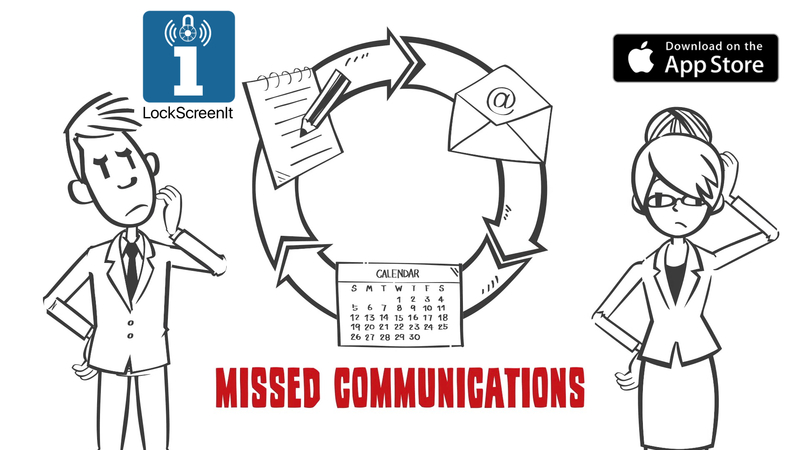 They help to notify your friends when you have sent them a new reminder, or when you have updated an existing one. But that doesn’t necessarily complete the loop to let you know that they are Ok with that reminder, or if they would like you to change the time, or any of the other information that you included. As of LockScreenIt 2.2, reminders now have an optional Discussion/Message Thread. Kick your paper notes and checklists aside, and share LockScreenIt reminders with your family and friends! 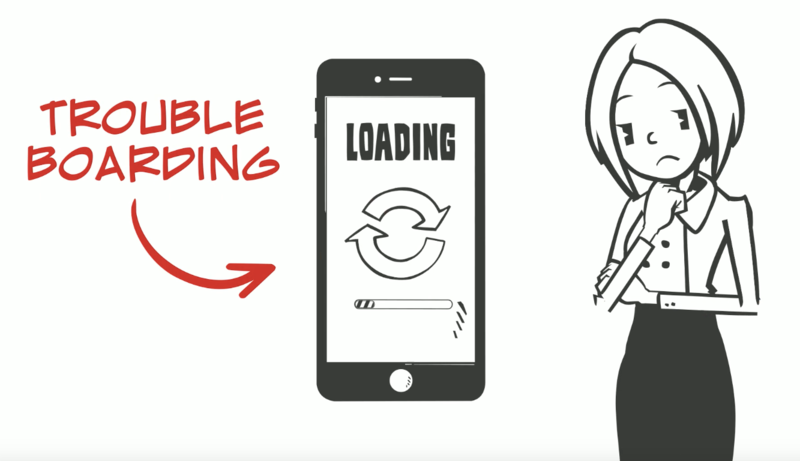 Carrying around paper checklists and/or fumbling with multiple apps on your iPhone or iPad can make for a cumbersome experience when running errands, or working on a project. LockScreenIt version 2.0 is now on the Apple App Store, and includes the ability to share reminders with family and friends! Checklists fan? Meet the latest feature in LockScreenIt version 1.4! Carrying around paper checklists and/or fumbling with multiple apps on your iPhone or iPad can make for a cumbersome experience when running errands, or working on a project. Install LockScreenIt version 1.4 from the Apple App Store today, you will love the new checklist feature! Frequent Traveler? Here Is Why You Need LockScreenIt. 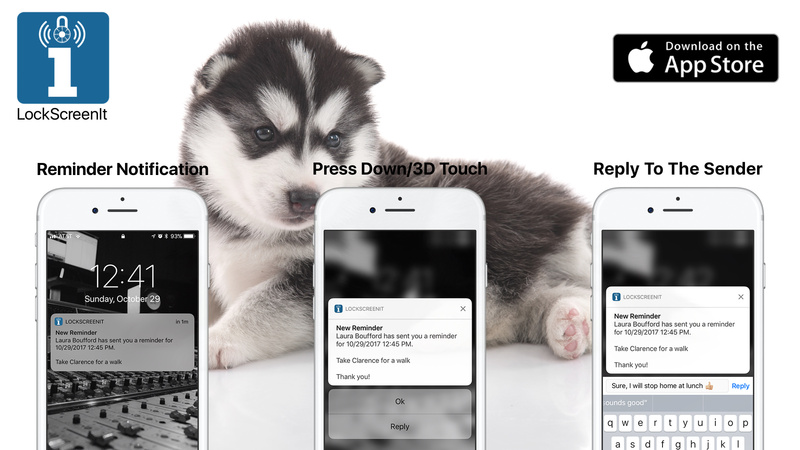 Introducing the new iOS app for iPhone and iPad that provides an easy way for you to send any type of reminder to your locked iOS device, eliminating the need to unlock your phone or tablet, and then open multiple apps. 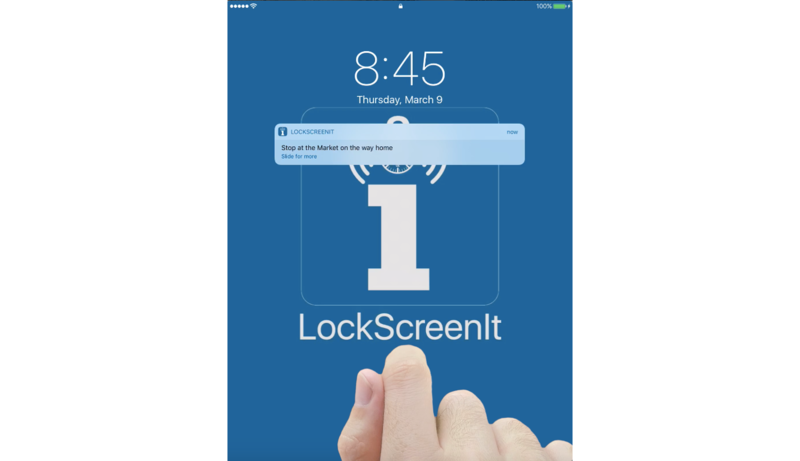 A: With the introduction of iOS 10, LockScreenIt provides an easy way for you to send any type of reminder to your locked iOS device, eliminating the need to unlock your phone or tablet, and then open multiple apps. 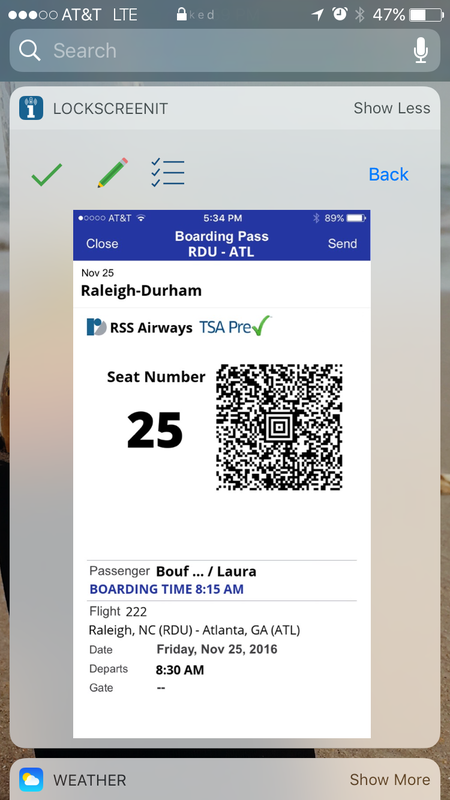 In this example, you can see a reminder that holds Laura's boarding pass for her upcoming flight. 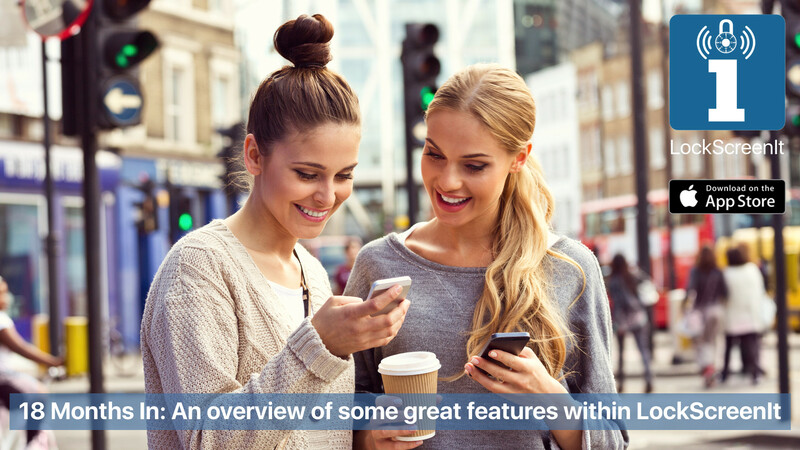 What is special about LockScreenIt®? How do I enable the app's widget? Swipe all the way to the right. This will take you to your list of any existing widgets. Scroll all the way to the bottom. Here you will see an "Edit" button. Locate the LockScreenIt widget in the "MORE WIDGETS" section of the "Add Widgets" area and touch the "+ sign" icon to its left. Tap and hold the "3 horizontal lines" icon to the right of the LockScreenIt widget, and drag the widget to the top of your widgets list.